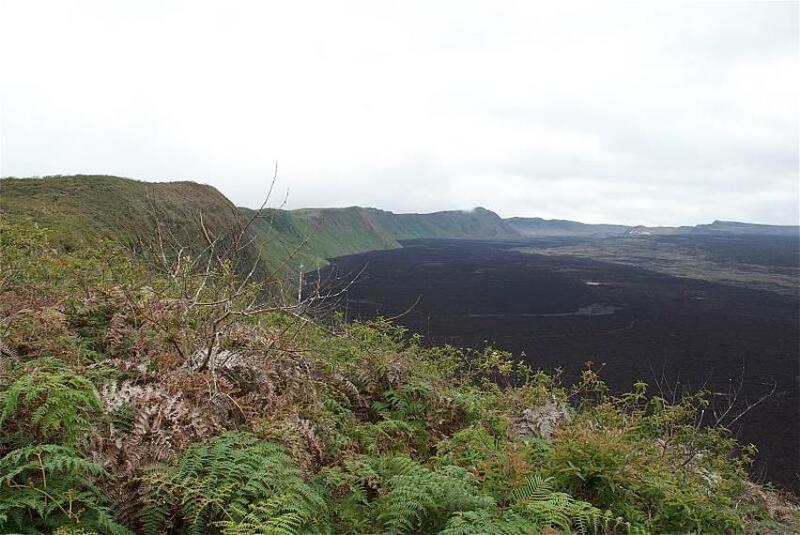 The Sierra Negra in the south of Isabela is unmissable, a vast volcanic caldera full of black lava and sand but partly rimmed by cloud forest. 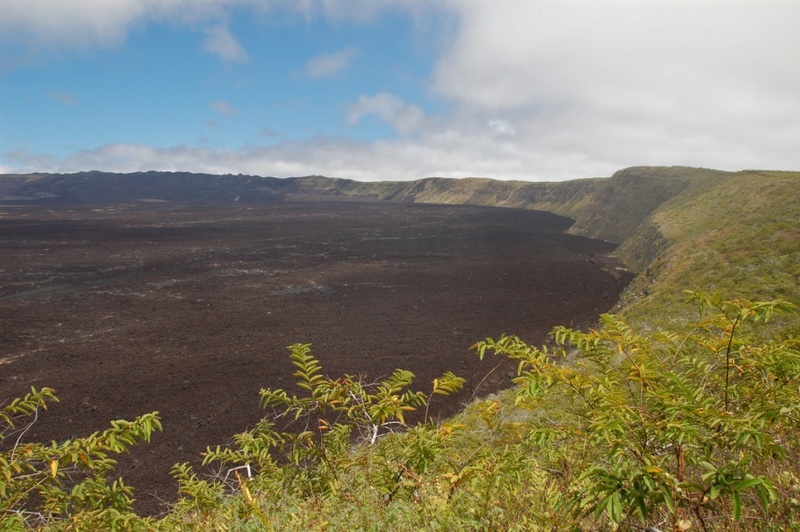 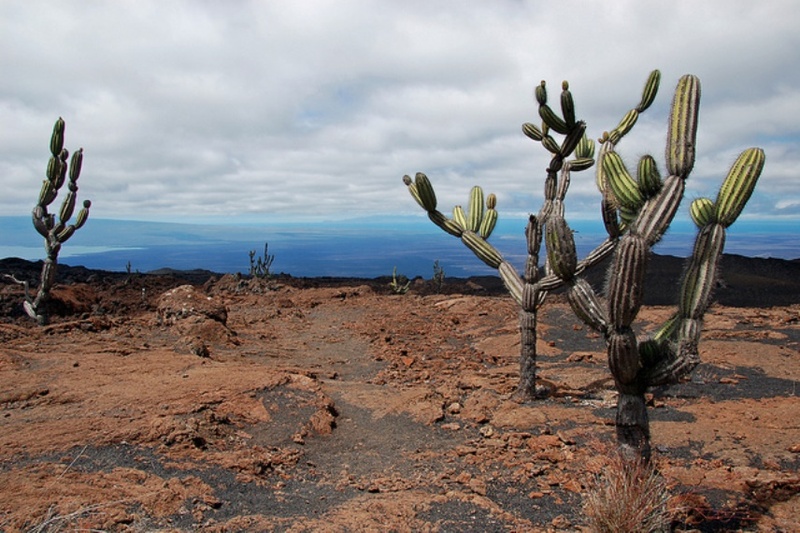 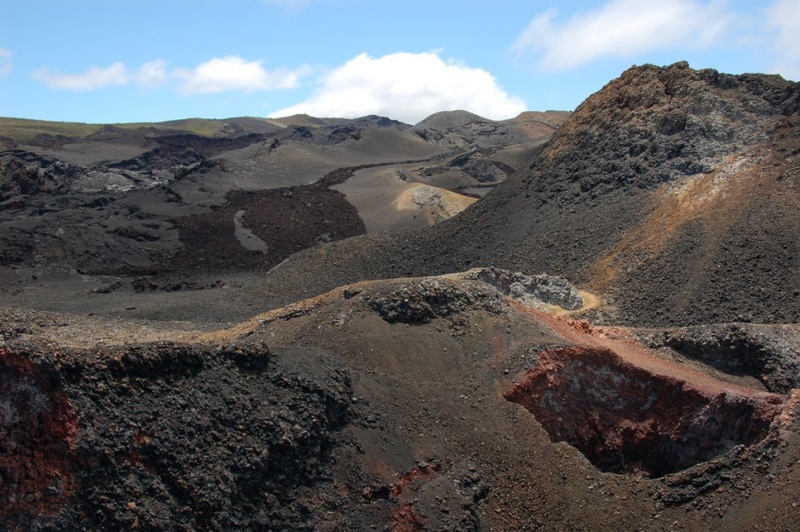 Carry on round to the dramatic Chico crater for superb views - and more certain ones. 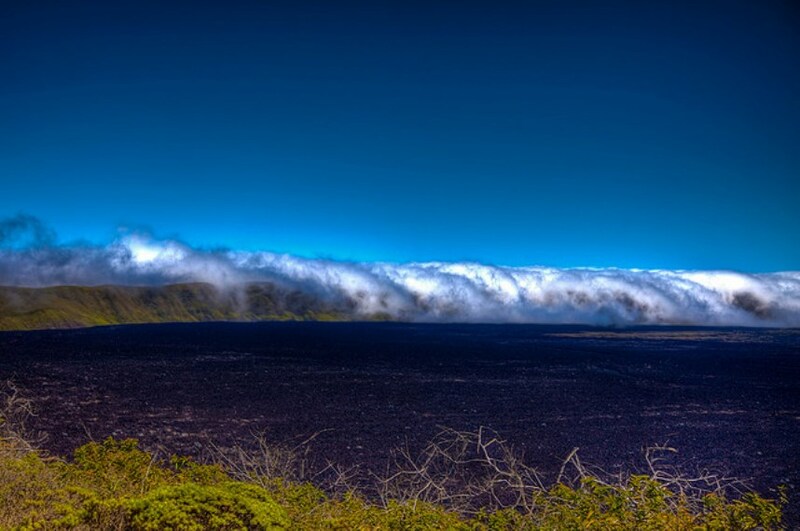 You will ascend through lush and beautiful cloud forest, grippingly different from most of the Galapagos, where you should encounter a delightful selection of bird life. 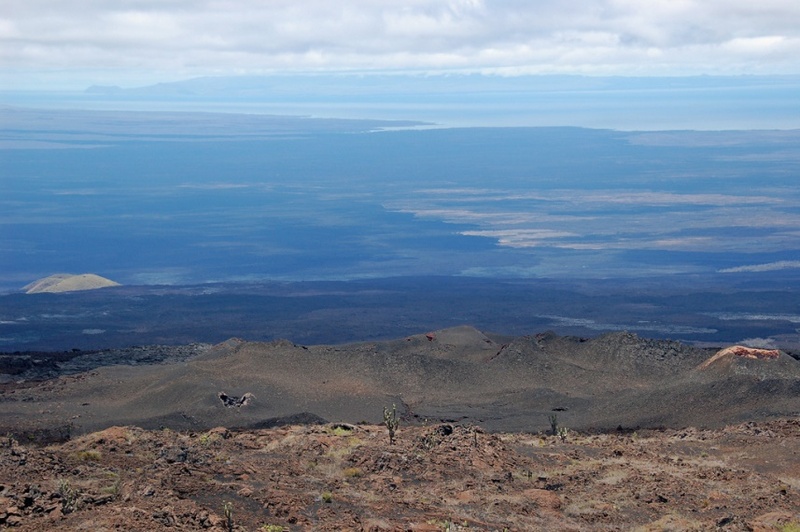 Arriving at the caldera rim can be astounding - or disappointing: frequently skimmed by thick fog, visibility can be poor. 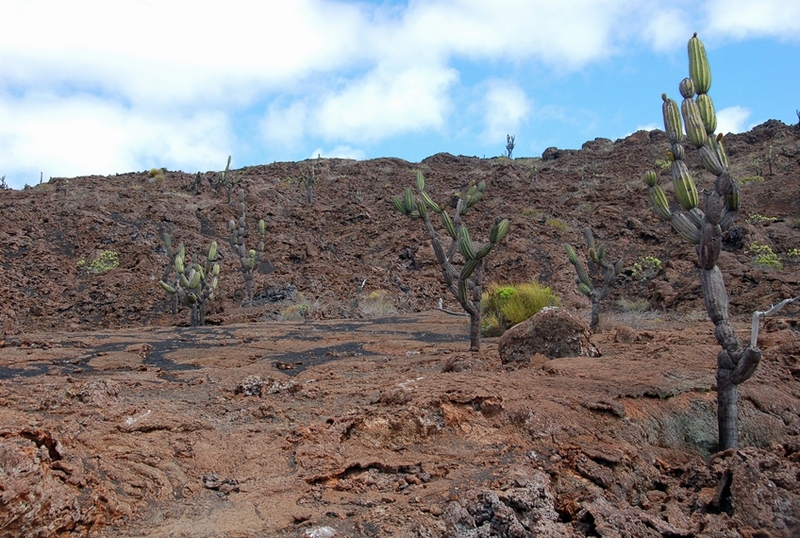 The 3 km (or so) path from the roadhead to the rim (2 hrs or so return) manages to be heavily maintained (no doubt necessary but creating a whiff of the suburbs) yet in parts very muddy much of the time. 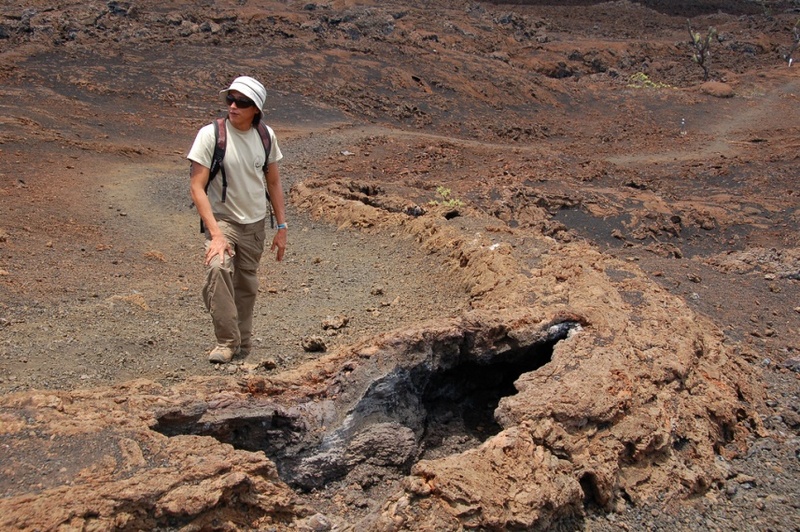 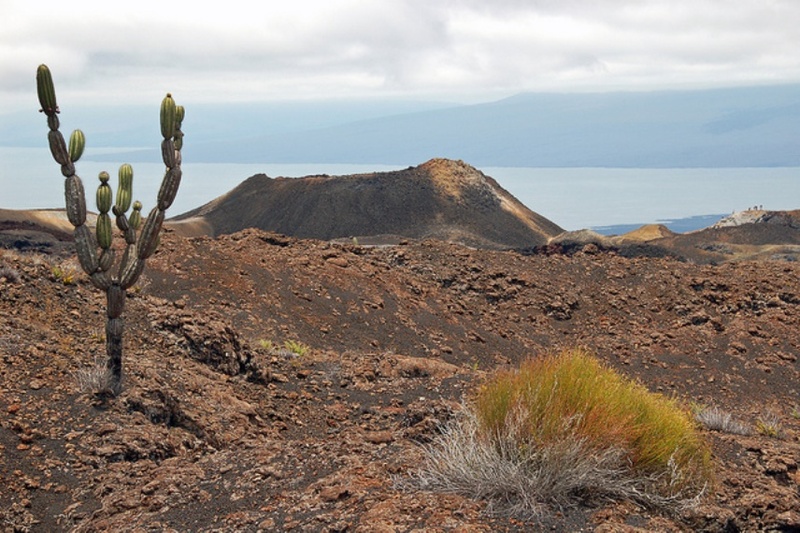 For more information and photos, including detailed practical information and some warnings, see our Galapagos Islands walk page.